Mattimeo is an Responsive OpenCart Theme with powerful admin panel, 2 different layouts, 4 color skins, unlimited colors, Google fonts, mega menu! 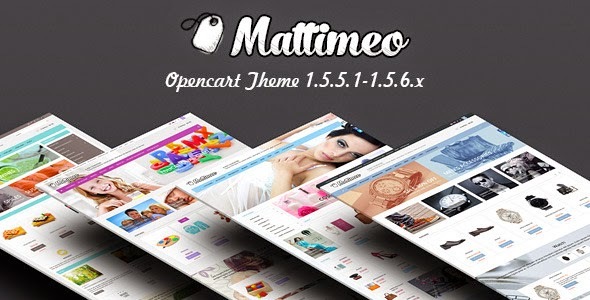 Item Reviewed: Mattimeo New Responsive OpenCart Theme 9 out of 10 based on 10 ratings. 9 user reviews.